The Corpus Christi Regional Economic Development Corporation (CCREDC) is a nonprofit organization dedicated to attracting, building, and growing projects that foster economic development in and around Corpus Christi, Texas, which is situated along the Gulf of Mexico. As with other economic development organizations (EDOs), it is paramount for CCREDC to get Corpus Christi and the other cities and counties located in what’s called the Coastal Bend on the short list for projects that will bring investment, jobs, tax revenue, and quality-of-life improvements to the area. The site selection process for economic development projects is largely anonymous. 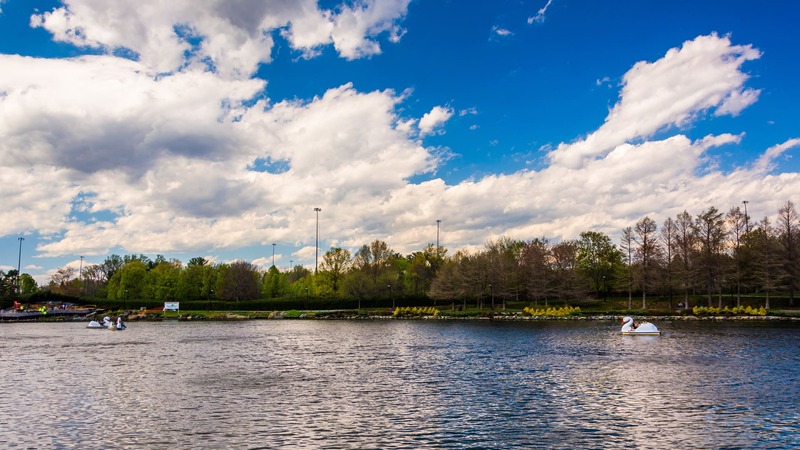 Prospects—businesses or companies that are looking to potentially relocate or expand—start with a long list of communities where they might want to establish their projects. They then reduce those options by conducting self-guided research on EDO websites for the places they’re interested in. Prospects typically don’t reach out to an EDO until that EDO has made the short list, so this is a data-driven process that can end up being critical for communities in need of development and economic opportunity. 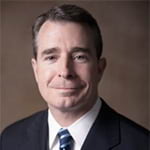 In 2015, Tommy Kurtz joined CCREDC as vice president of business and strategic development. With a focus on implementing a targeted business recruitment program and attracting major industrial and manufacturing projects to the area, Kurtz’s first decision was to license ArcGIS Desktop and ArcGIS Business Analyst so the organization could use Esri data and tools to respond to requests for information about the community and various properties and make detailed pitches to prospects. Clients can choose the layers they want to present to their users, such as federal opportunity zones, railroads, pipelines, and water and sewer lines. But CCREDC’s publicly accessible solution did not align with Kurtz’s vision of what was required to compete for and win projects. It did not integrate with Esri software; it was not user-friendly, resulting in frequent user abandonment; it didn’t contain valuable infrastructure data for each community in the area; and it didn’t let users manage key data to target specific prospects. To come up with a working solution, Kurtz wanted to find an Esri partner that focused on economic development. His account manager at Esri soon introduced him to Esri startup partner GIS Web Tech, LLC, whose flagship site selection solution, Recruit, is built natively on the ArcGIS platform. Recruit is a public-facing solution that enables users to conduct research and perform analysis to identify locations of interest. For many communities, much of this data is only available via their EDO. But the report goes on to say that 79 percent of site selectors will only contact an EDO after they have developed a short list of potential communities. Why? Because site selectors and businesses are time crunched to make informed decisions. At this stage of the process, it is faster and easier for them to access publicly available data than to engage with EDOs. Thus, providing the right data, helpful analytical tools, and a user-friendly solution is critical to making the short list. GIS WebTech takes a client-centric approach to data and solution management. Because Recruit is built natively on the ArcGIS platform, it taps directly into Esri Demographics, a large collection of demographic, psychographic, and socioeconomic data. Clients with licensed access to ArcGIS Online can add virtually any data from ArcGIS Online into Recruit—including federal opportunity zones, railroads, airports, and sewer and water lines—and display it for their users to view either publicly or privately. Additionally, Recruit is the only solution that enables clients to add, activate, or deactivate data as needed to target specific audiences. 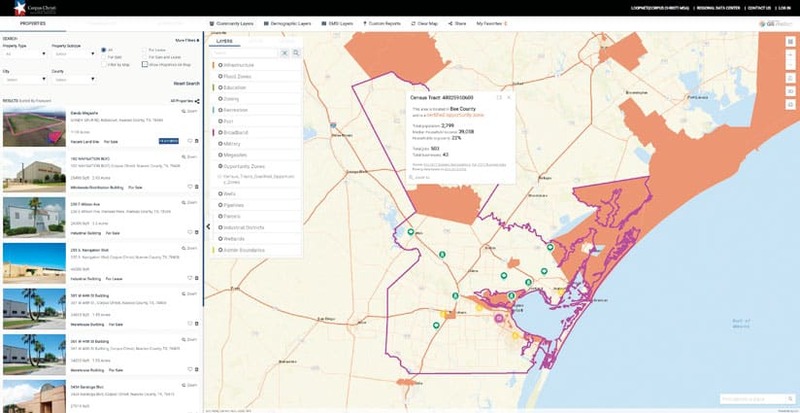 To bring data together from the City of Corpus Christi and several surrounding counties, the team at GIS WebTech collaborated with these stakeholders to get the map layers and services they each host in their own ArcGIS accounts and add them to Recruit’s Layers feature. This allows each authoritative data source to maintain control over its own system of record while ensuring that Recruit has consistent and up-to-date data. It also gives CCREDC access to all the most current and available data from these communities without having to take further action. 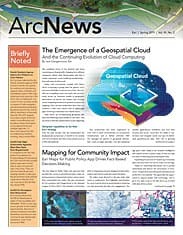 Kurtz and his colleagues at CCREDC have been pleased with their new public-facing, ArcGIS software-based solution. Since adopting Recruit two years ago, CCREDC is making more short lists and winning more projects than it ever has before. Currently, the organization is working on more than $13 billion in investment in Corpus Christi and is bringing more than 2,000 jobs to the area. Prospects, both foreign and domestic, are very impressed with Recruit’s responsiveness, as well as how accessible and complete CCREDC’s data is. “There is no substitute for this solution to show this kind of information,” concluded Kurtz. The Esri Startup Program gives emerging businesses an edge by helping them integrate spatial functionality into their products and services. Learn more about the Esri Startup Program. Michael Cleary is GIS WebTech’s chief operating officer. For more information about GIS WebTech or Recruit, email him at michael@giswebtech.com.